Panasonic has launched its new R32 light commercial air-conditioning solution, designed for simple installation and performance in the commercial market. The outdoor unit has been designed with a single fan body within an extremely compact design to fit into any space or layout. Panasonic’s new R32 light commercial air conditioning range has a low global warming potential of 675 and only 32% emissions compared to the previous range. 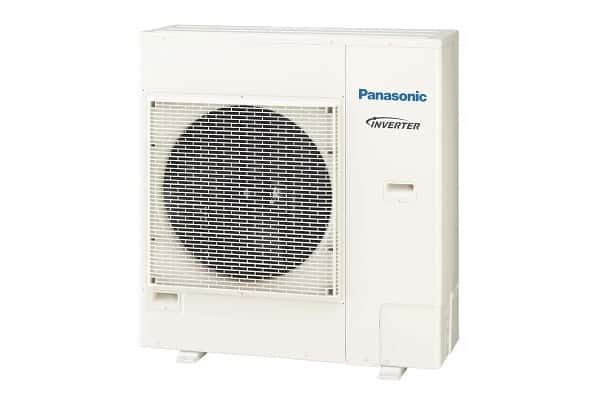 Panasonic’s Inverter Technology means constant comfort air-conditioning with temperature control and a wider power output range to perform in even the most extreme conditions in Australia. “Panasonic has a 60-year track record in providing innovative air conditioning products and solutions that create comfortable and healthy living spaces. At the same time, we have also championed ease of installation and the needs of all users. This theme is ever-present in our latest range,” says Panasonic Australia product marketing manager Jack Tey. The High Static Pressure Ducted unit features a large airflow up to 1,000L/s and up to 150Pa static pressure for installation flexibility. The compact body size also allows the unit to be hidden in the ceiling, ideal when interior décor is an important consideration for homes with many rooms or in light commercial buildings. The mid static pressure ducted solution controls the environment while being quiet in the process. The space saving of 290mm in height together with a built-in drain pump means it is the ideal fit when ceiling heights are restricted. The flat panel design, high velocity and low sound levels make the 4-Way Cassette ideal for buildings with high ceiling architecture. This new 4-Way Cassette can be fitted with Panasonic’s unique air purifying technology nanoeXiv sensor to improve Indoor Air Quality (IAQ). The Under Ceiling unit looks thin and compact when installed for a neat appearance in any room. When not operating, the louver closes to provide an elegant look while also keeping the unit clean. The shape of the outlet has been made to provide long-distance air flow distribution – making sure that even in long rooms, air flow reaches every corner. The new wall mounted unit is ideal for small offices, restaurants and other commercial applications. With piping outlets possible in six directions and a washable front panel, installation and maintenance isn’t a hassle. Air distribution is also automatically adjusted depending on the operational mode of the unit, using Panasonic’s ECONAVI sensor technology. Smart Connectivity – a new solution providing energy saving comfort as well as simple installation, integration, operation and running – either in stand-alone architecture or in Building Management System (BEMS) architecture. AC Smart Cloud – providing complete control of all installations, a simple click from today’s portable devices delivers real-time status updates from several locations to optimise costs and reduce the chance of breakdowns.